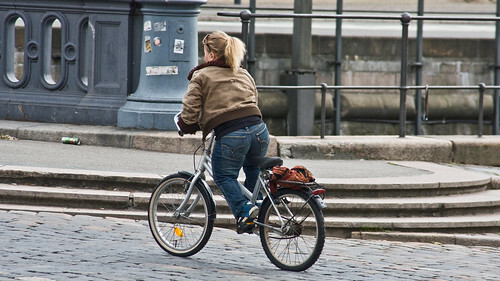 Always amazed me to think how little space people transporting themselves by bicycle take up. Four people AND a baritone horn. If they were all in each their car I'd need a wide angle lens. 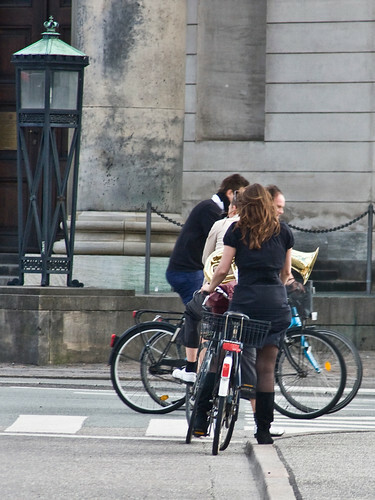 Here's another great example of the bicycle serving a fine mobility purpose for a Copenhagener.